Trump is on the phone with German Chancellor Angela Merkel, who he's previously called "the most important leader in Europe." In the Oval Office are Trump's Chief of Staff Reince Priebus, and Senior Advisor Steve Bannon, per pool. 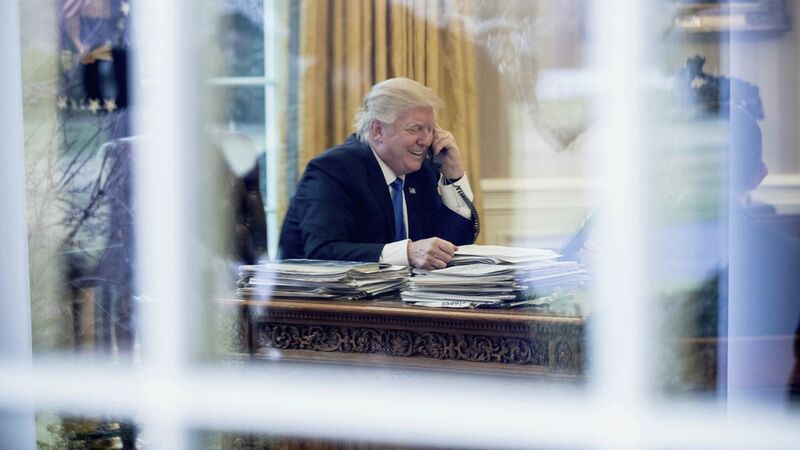 Trump is also scheduled to hold calls today with Russian President Valdimir Putin, Japanese Prime Minister Shinzo Abe, French President François Hollande and Australian Prime Minister Malcolm Turnbull.